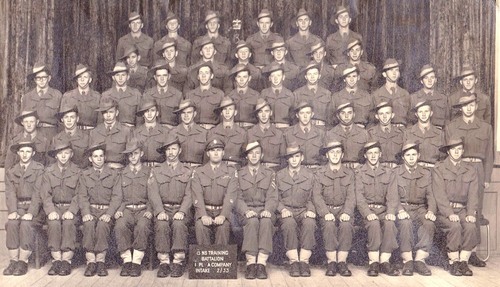 Lou Albert Holm~second back row extreme right. 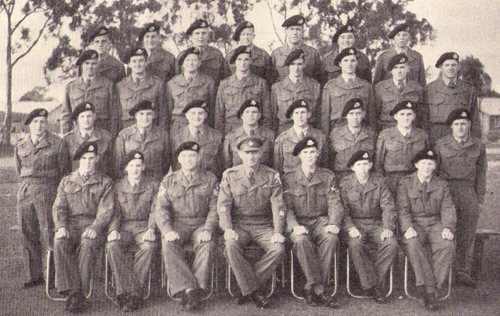 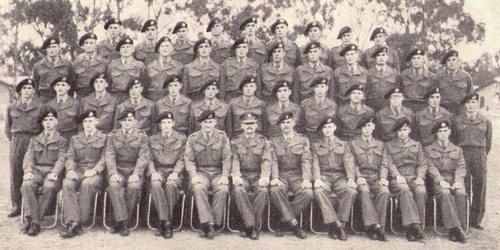 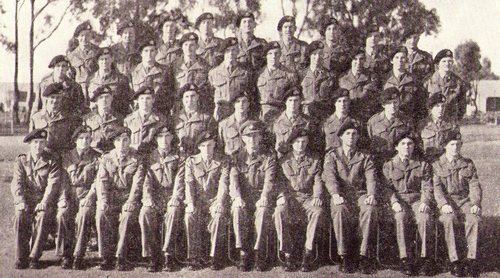 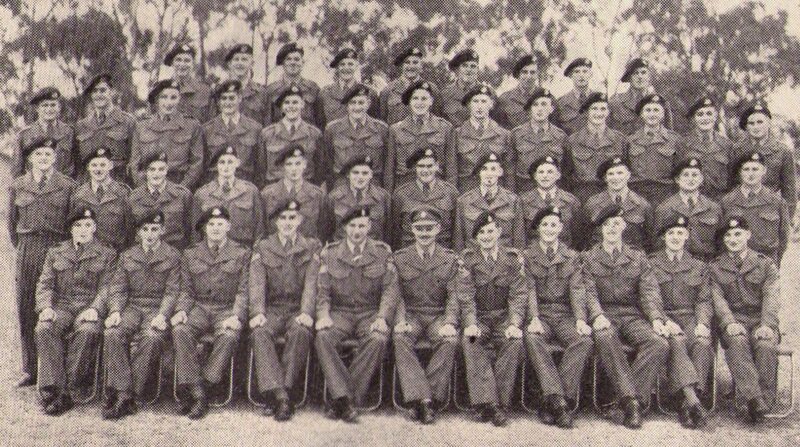 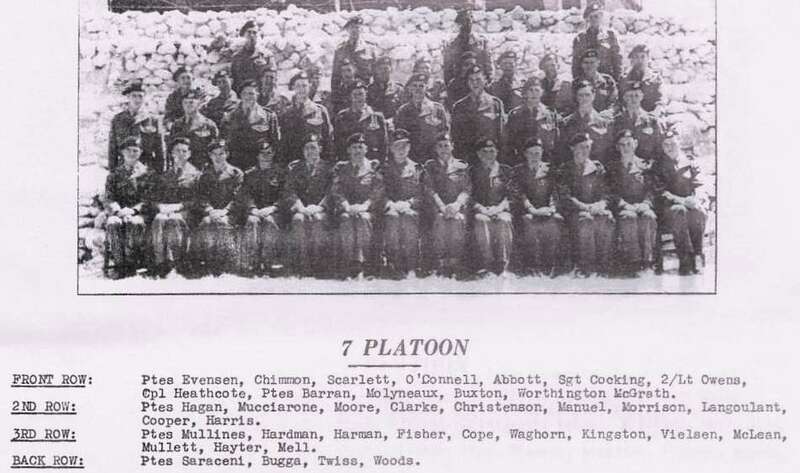 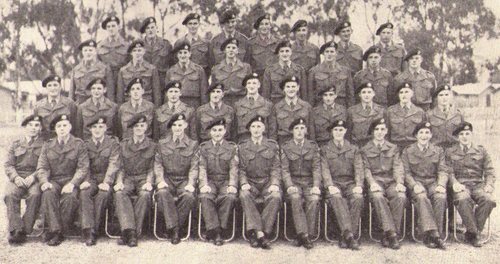 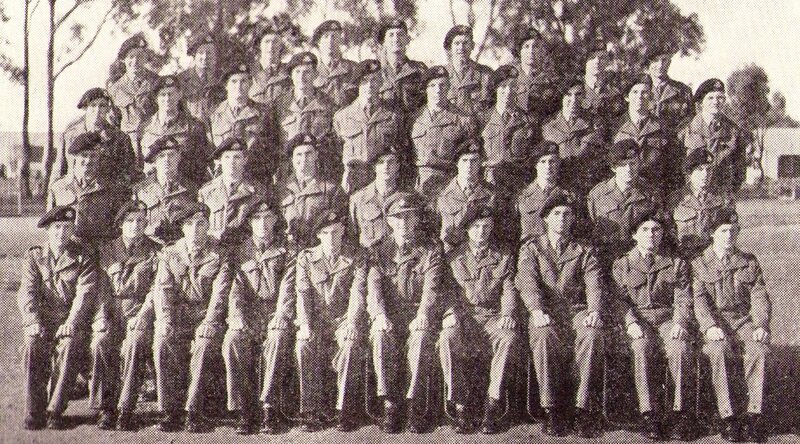 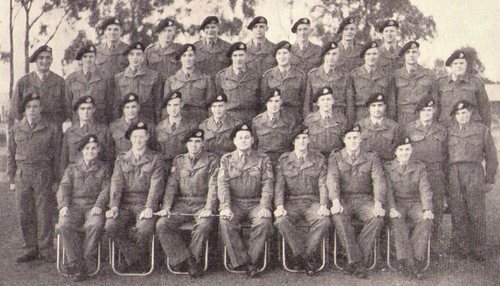 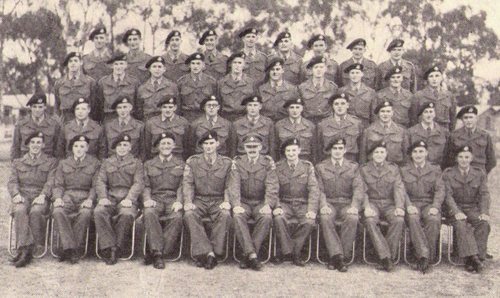 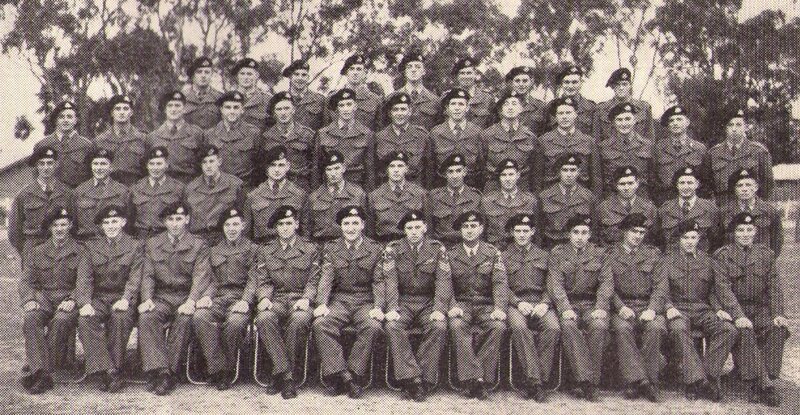 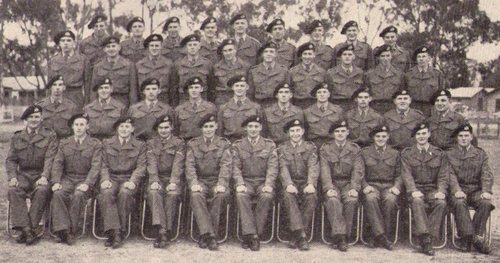 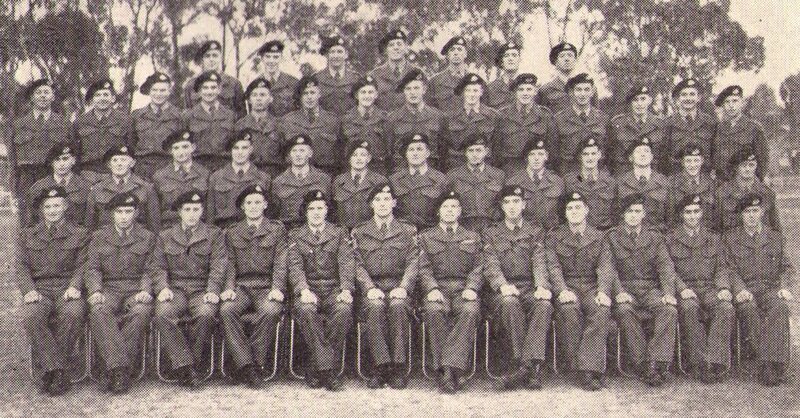 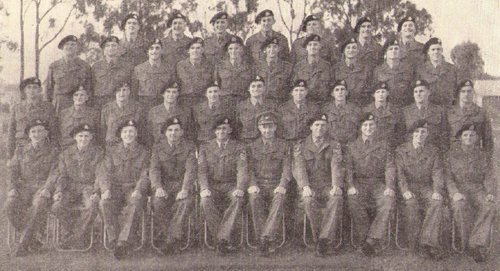 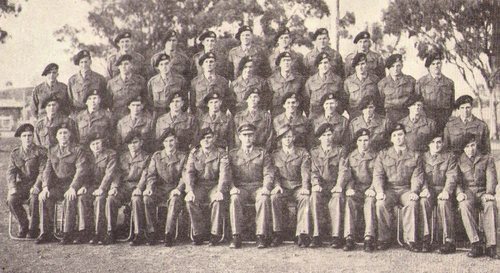 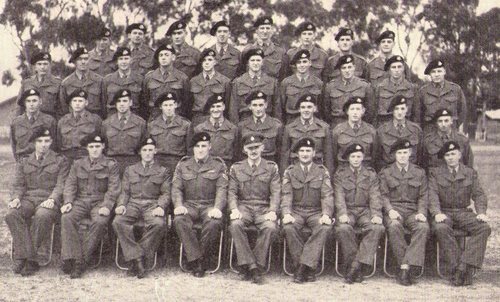 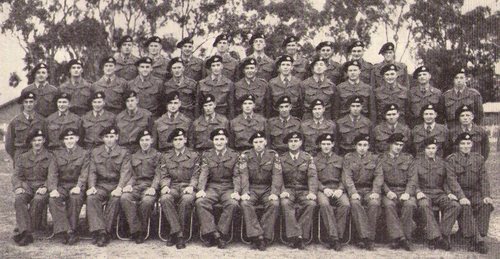 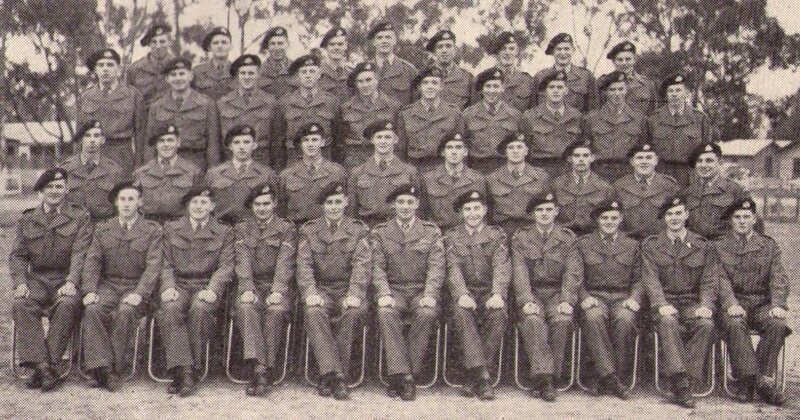 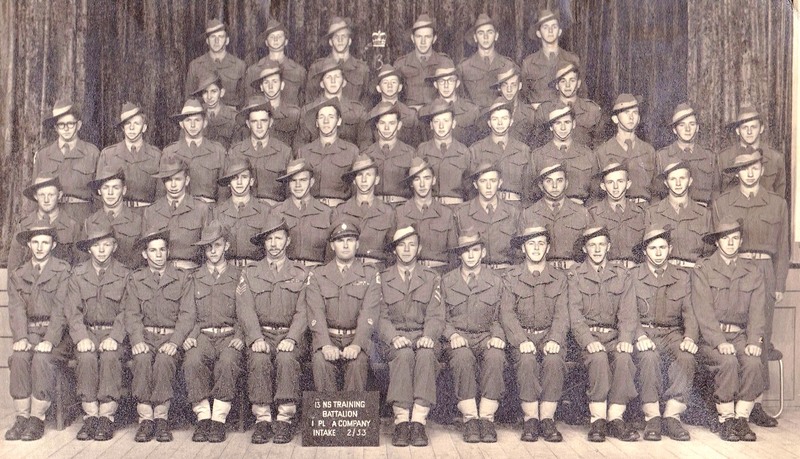 11 NSTB F Coy 28 Platoon 1953. 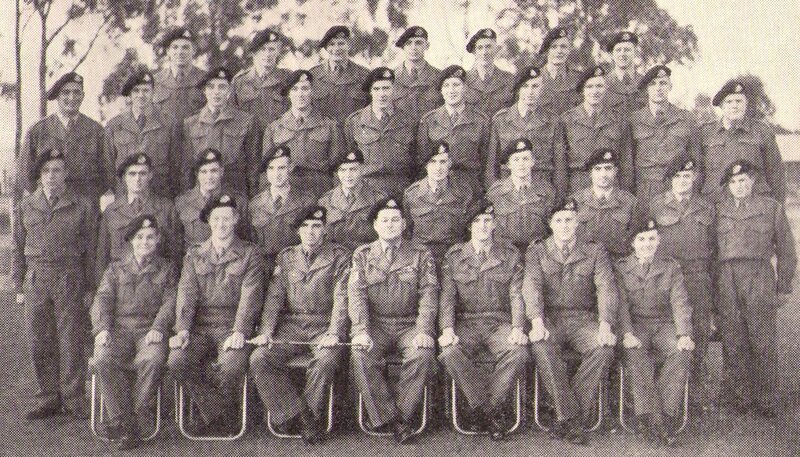 Back Row (L to R): Ptes. 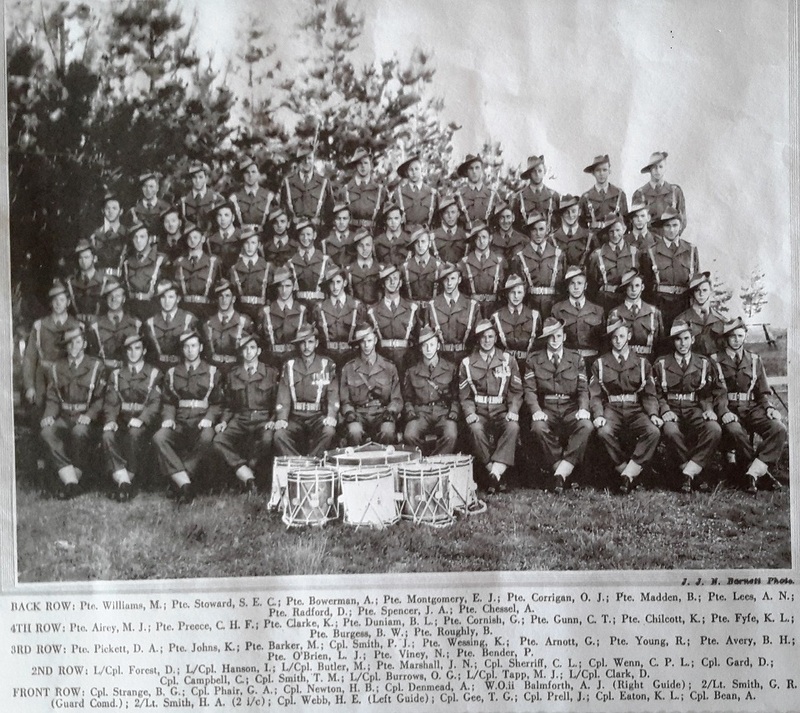 Jenkins, L/Cpl. 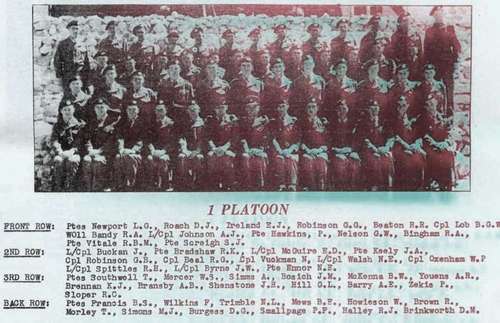 Cifuentes, Pte. 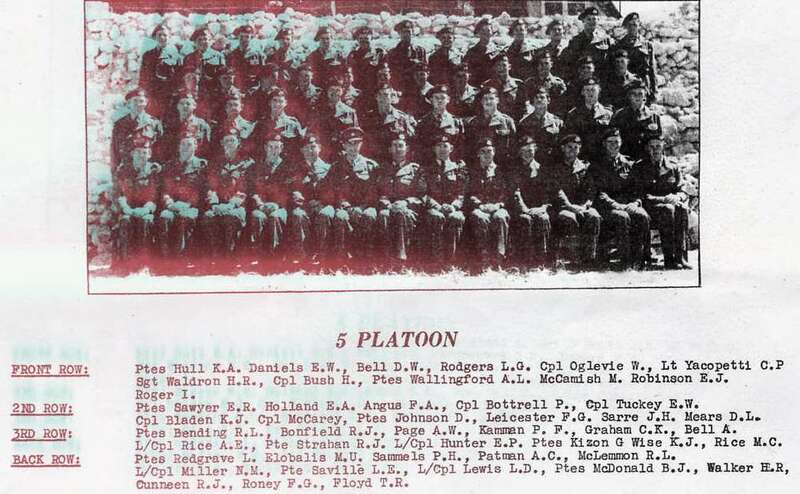 McElligot. 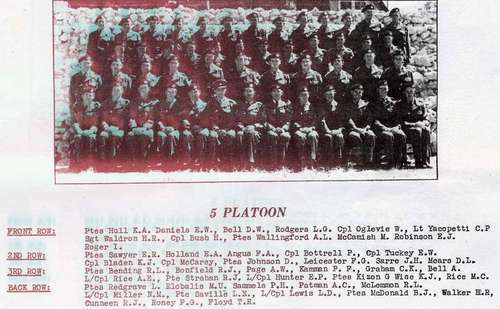 Fifth Row: Ptes. 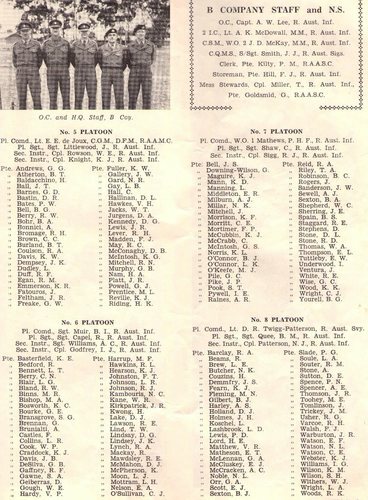 Underhill, Costello, Hendrickson, Land, Fuelling, Smith, Ron Milne, Sloan, Younger. 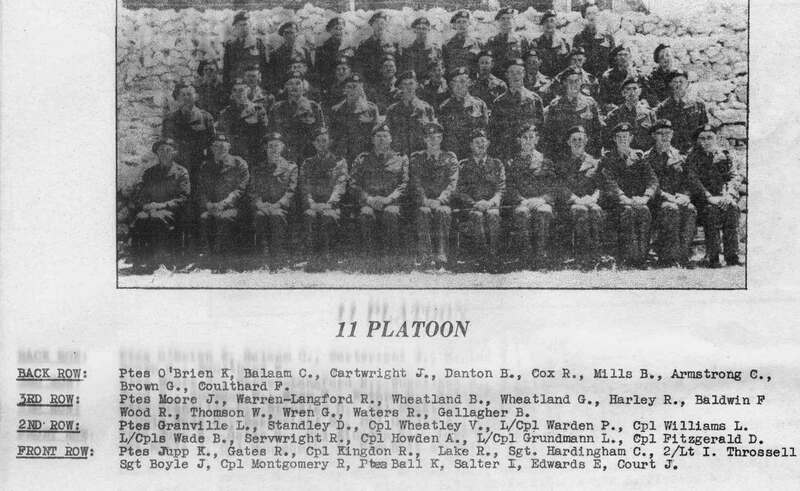 Fourth Row: Ptes. 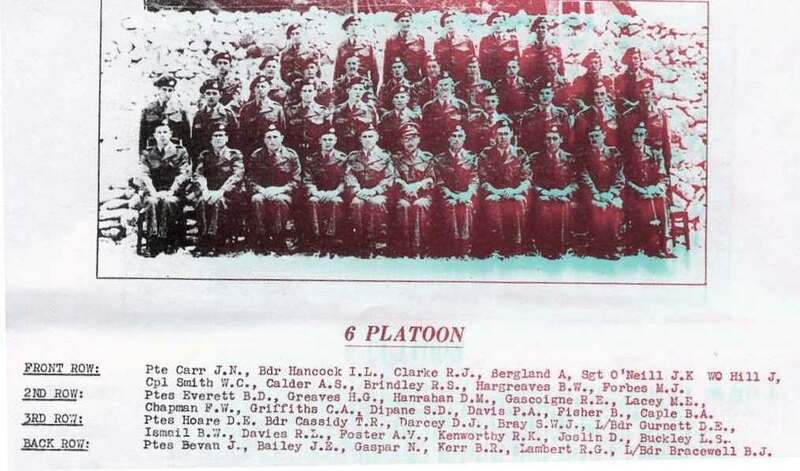 Evans, Barry Graham, Bruce, Gane, Adams, Carr, Pregno, Offord, Geoff Cranwell, Johnston. Third Row: Ptes. Delaforce, Lewis, Donald, Dagg, John Byrnes, Herbert, Bethel, Johnson, O’Neill, Tarditi, Field. Cpl. McFadzean (Inst), L/Cpl. 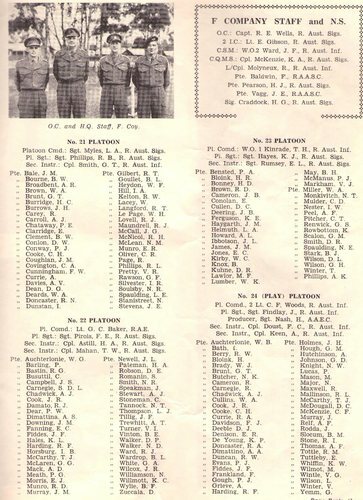 Mangano, L/Cpl. 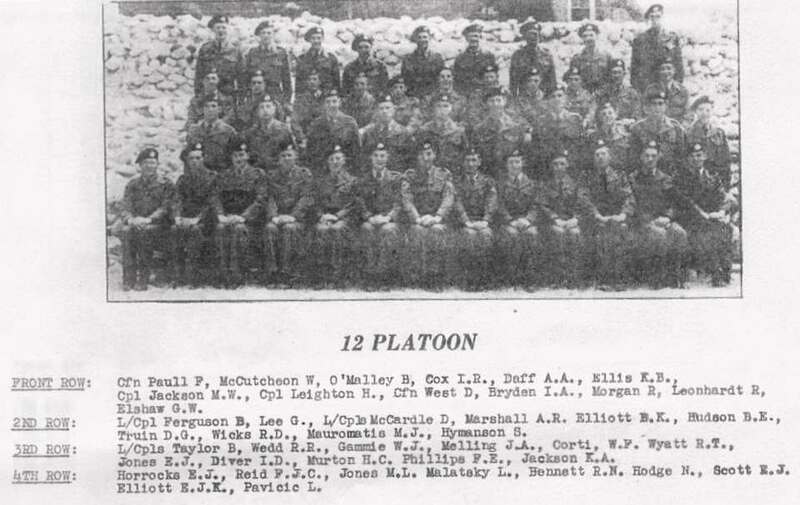 Don Locarnini, Pte. 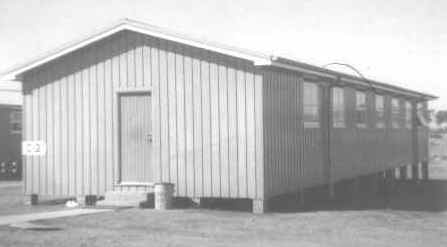 Grogan. 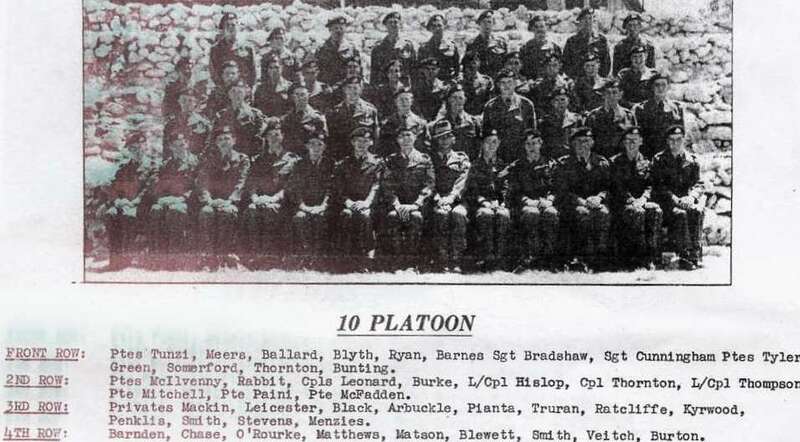 Front Row: Ptes. 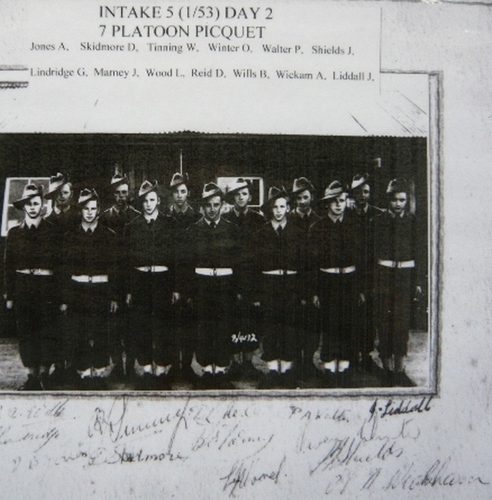 Tusa, Giudice, Len Anning, Healy, Shang, Furber. 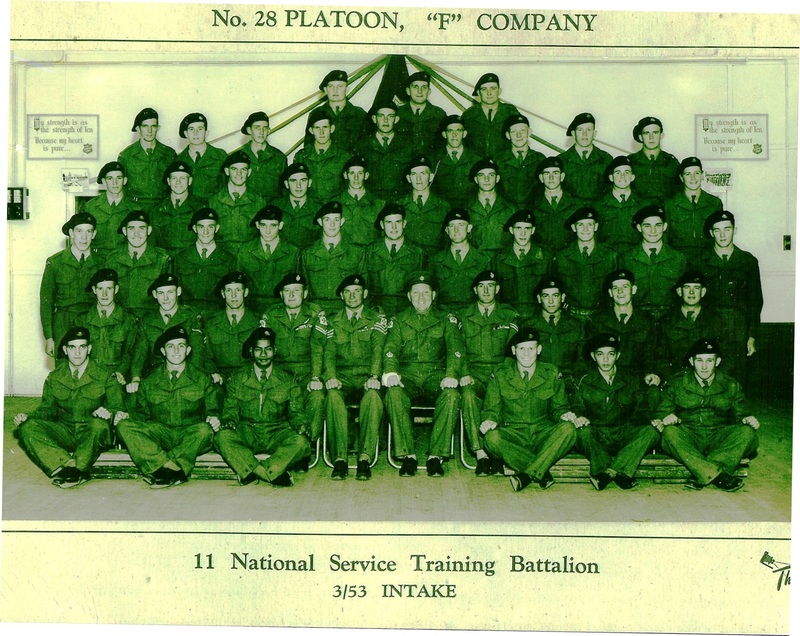 13 NSTB A Coy 1 Platoon 2nd Intake 1953. 13 NSTB B Coy 5 PL 3rd Intake 1953. 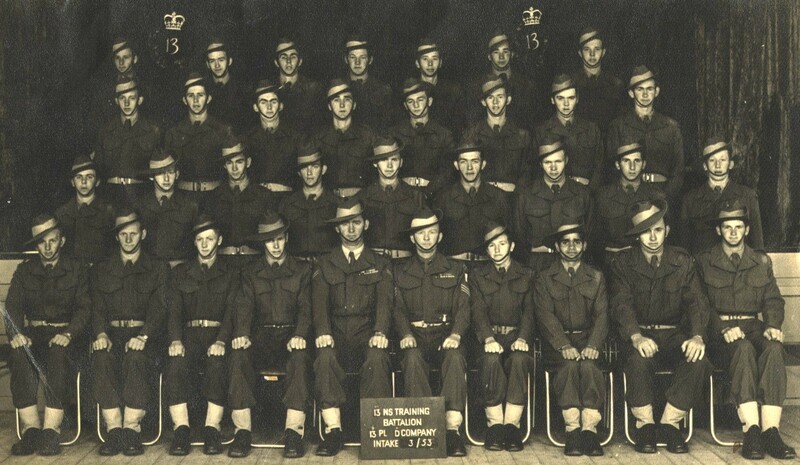 I’m putting a list together for the AWM of my Family members who served over seas, we are native Australians (Aboriginal) my family so far has 19 members who have served from ww1 can any one tell me who is the last man on the right 2nd row from the front please? 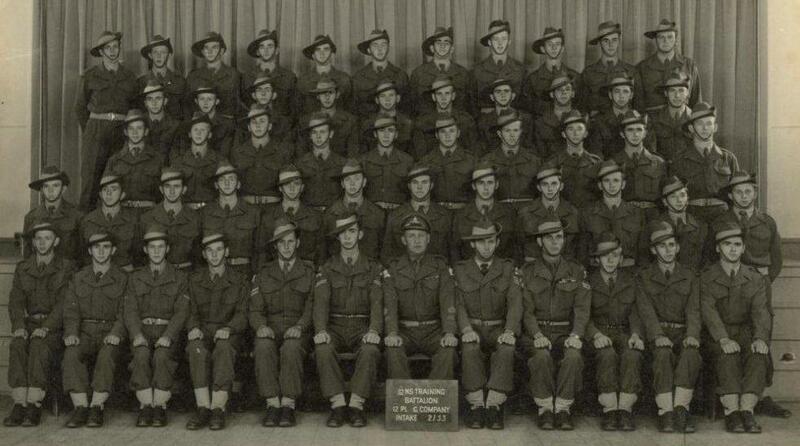 He comes from Bulahdelah north coast NSW he has17 brothers and sisters last name Syron. 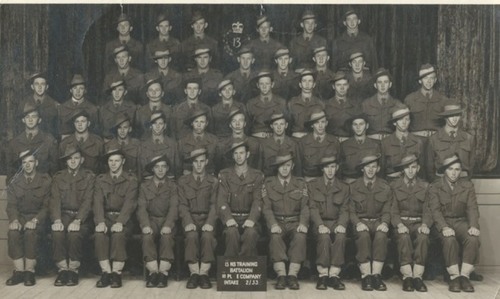 Norman Dwyer (2nd row, third from the right). 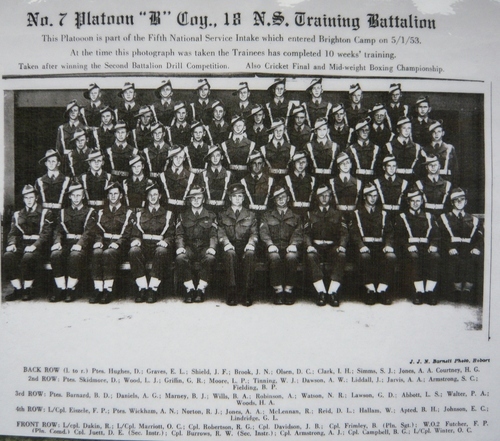 18 NSTB B Coy 5 Pl 5 Intake Brighton 1953. 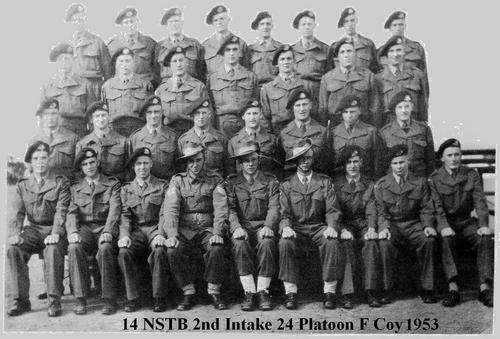 15 NSTB 2 Intake 1953 Pucka. 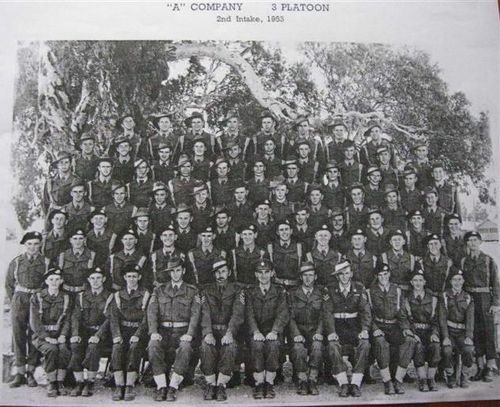 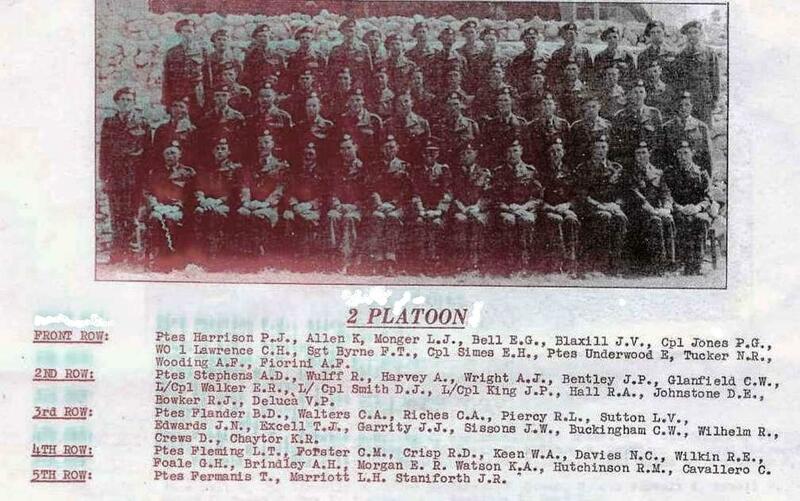 Platoon Photos sent in ~Brian Nicholls. 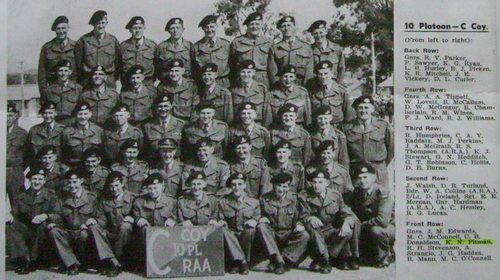 15 NSTB A Coy 1 PL 2 Intake 1953. 15 NSTB A Coy 2 PL 2 Intake 1953. 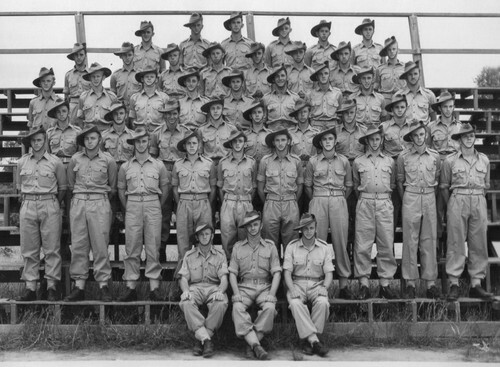 15 NSTB A Coy 3 PL 2 Intake 1953. 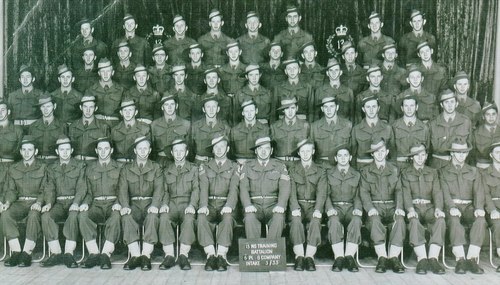 15 NSTB A Coy 4 PL 2 Intake 1953. 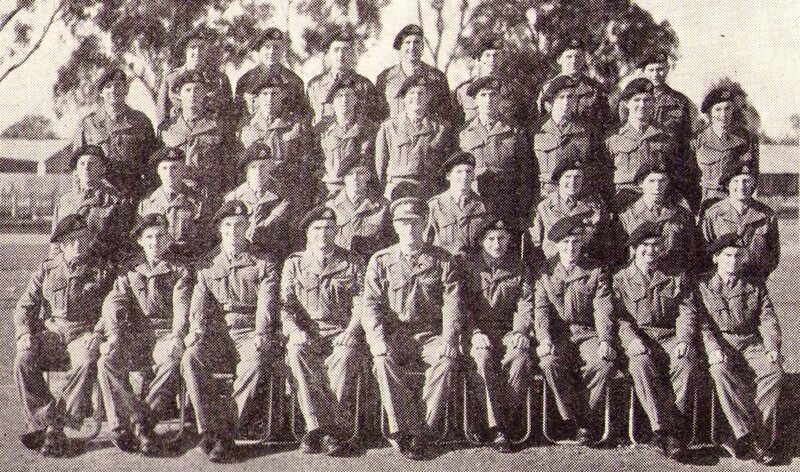 15 NSTB B Coy 5 Pl 2 Intake 1953. 15 NSTB B Coy 6 Pl 2 Intake 1953. 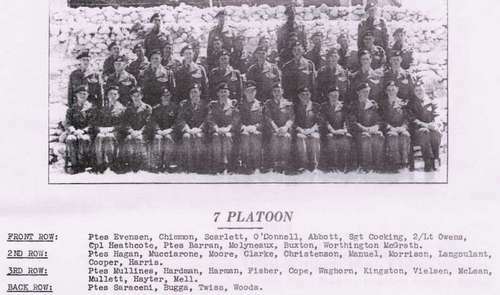 15 NSTB B Coy 7 Pl 2 Intake 1953. 15 NSTB B Coy 8 Pl 2 Intake 1953. 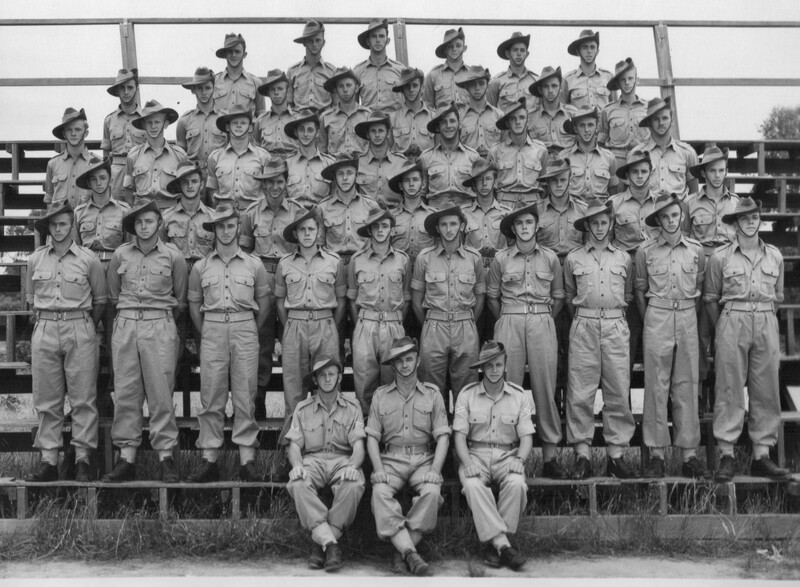 15 NSTB C Coy 9 Pl 2 Intake 1953. 15 NSTB C Coy 10 Pl 2 Intake 1953. 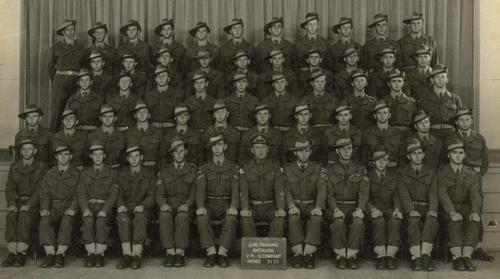 15 NSTB C Coy 11 PL 2 Intake 1953. 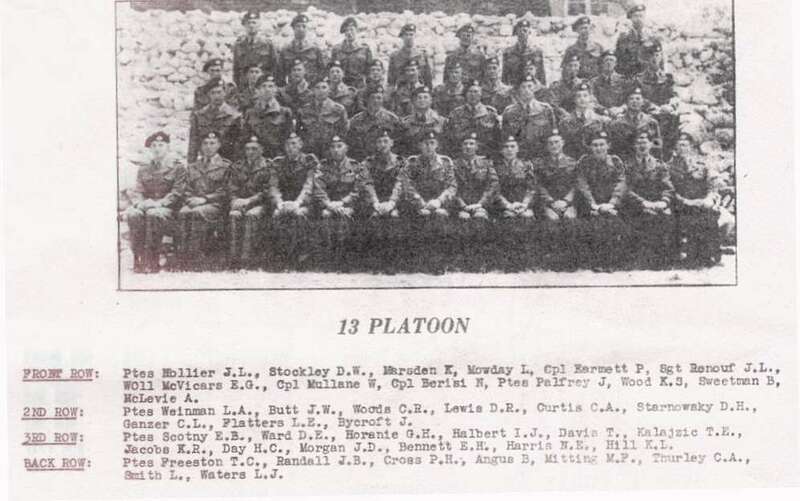 15 NSTB D Coy 13 PL 2 Intake 1953. 15 NSTB D Coy 14 PL 2 Intake 1953. 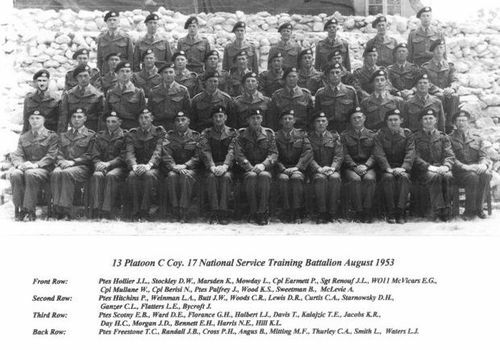 15 NSTB D Coy 15 PL 2 Intake 1953. 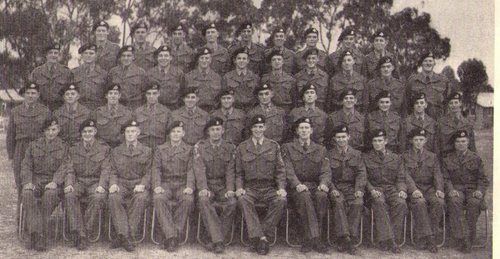 15 NSTB D Coy 16 PL 2 Intake 1953. 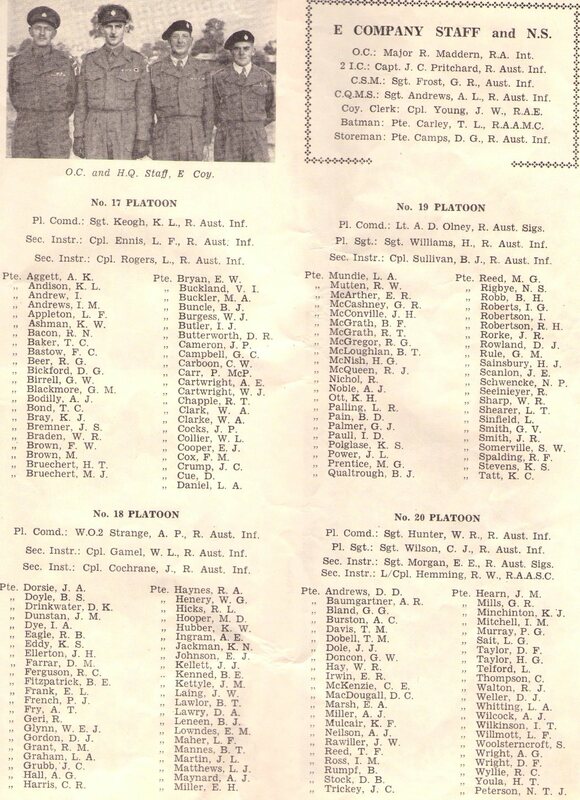 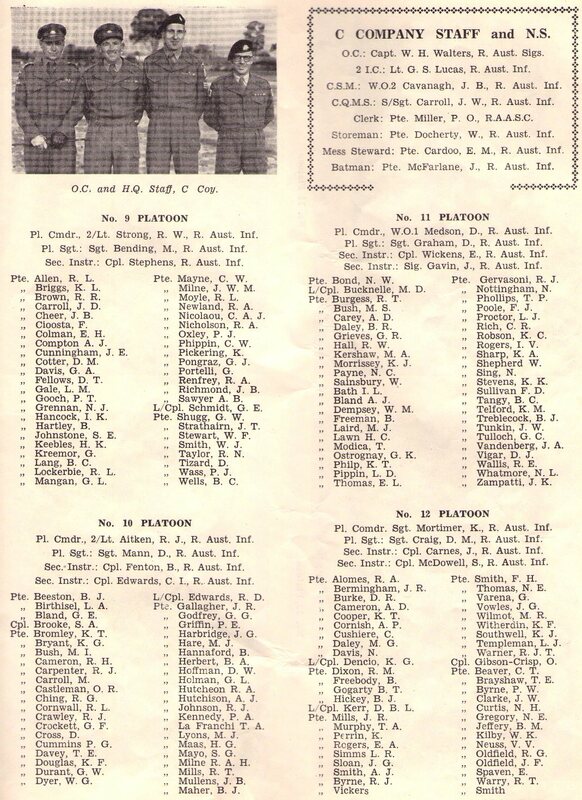 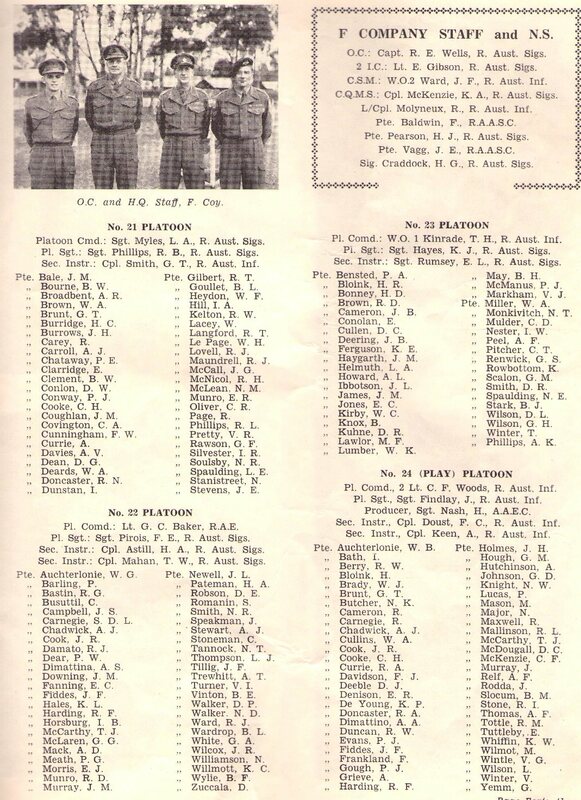 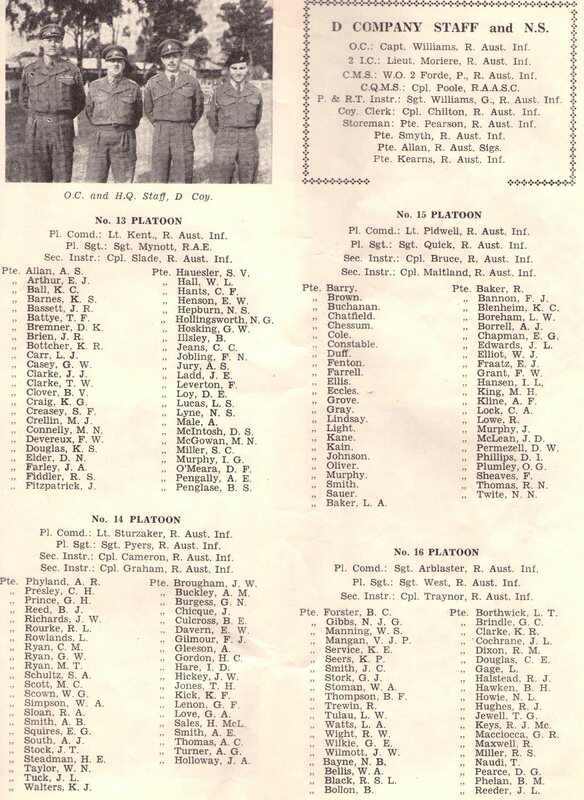 D COY Platoon Names 1953. 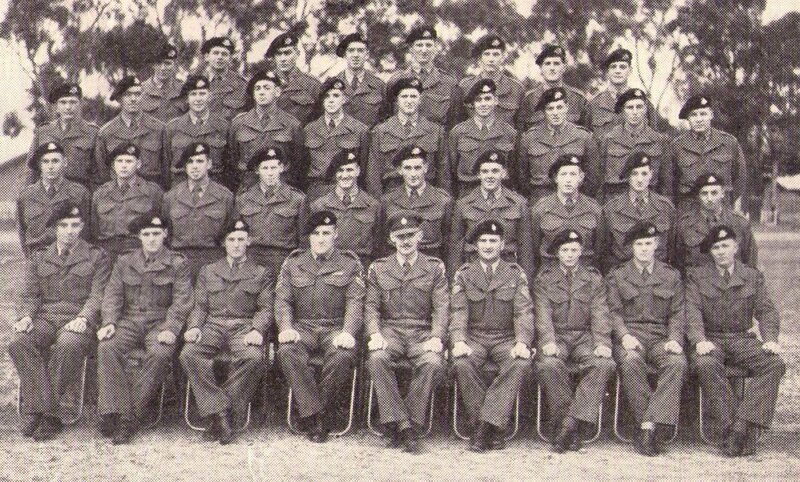 15 NSTB E COY 17 PL 2 Intake 1953. 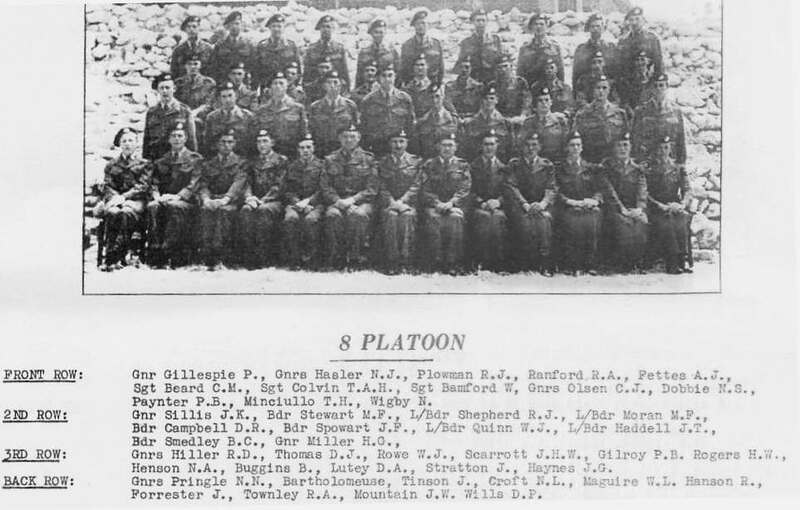 15 NSTB E COY 18 PL 2 Intake 1953. 15 NSTB E COY 19 PL 2 Intake 1953. 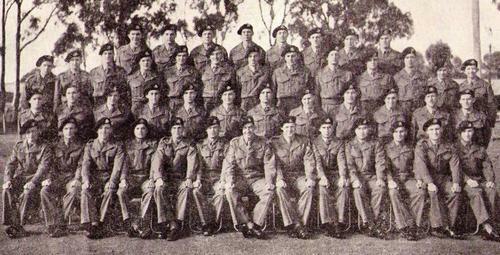 15 NSTB E COY 20 PL 2 Intake 1953. 15 NSTB F Coy 21 Pl 2 Intake 1953. 15 NSTB F Coy 22 Pl 2 Intake 1953. 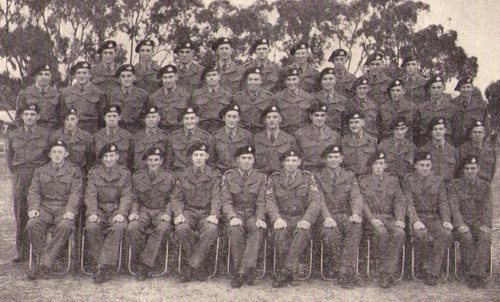 15 NSTB F Coy 23 Pl 2 Intake 1953. 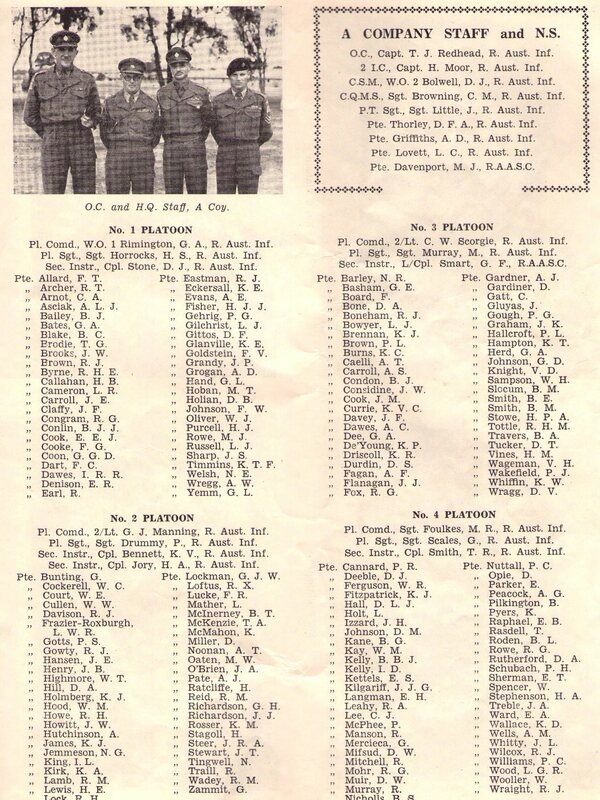 15 NSTB F Coy Names 1953. 15 NSTB G Coy 25 Pl 2 Intake 1953. 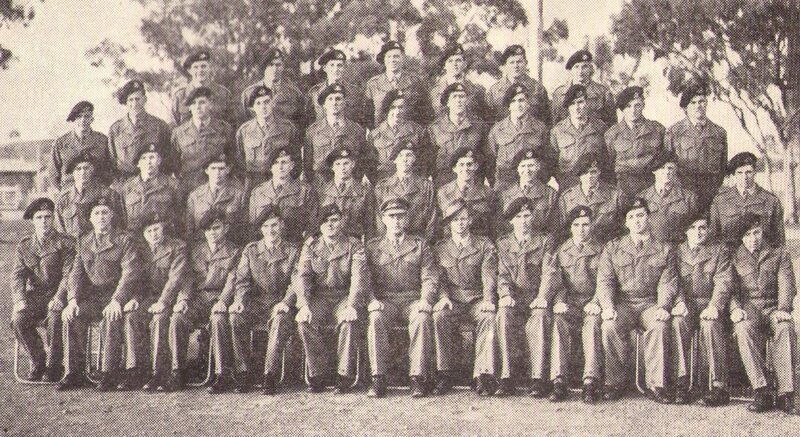 15 NSTB G Coy 26 Pl 2 Intake 1953. 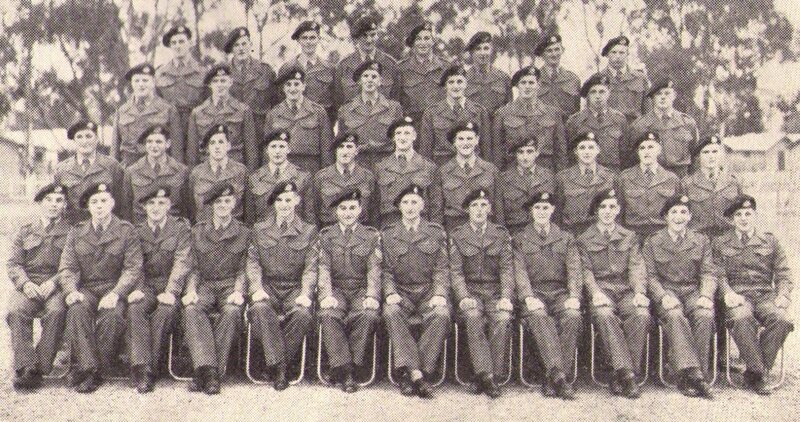 15 NSTB G Coy 27 Pl 2 Intake 1953. 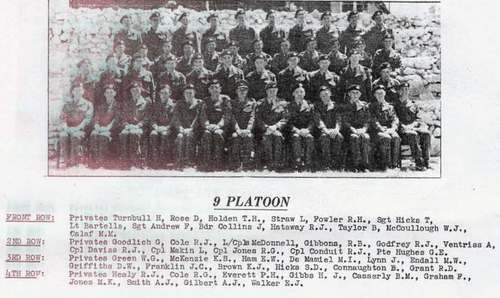 15 NSTB G Coy 28 Pl 2 Intake 1953. 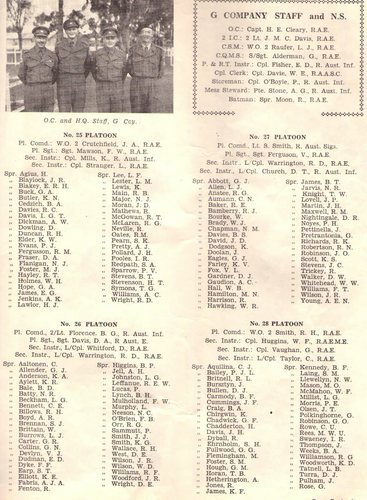 15 NSTB G Coy PL Names 1953. 15 NSTB H Coy 29 PL 2 Intake 1953. 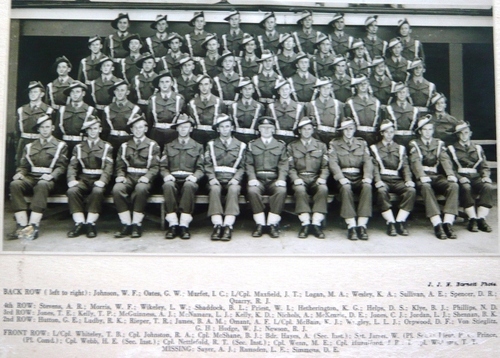 15 NSTB H Coy 30 PL 2 Intake 1953. 15 NSTB H Coy 31 PL 2 Intake 1953. 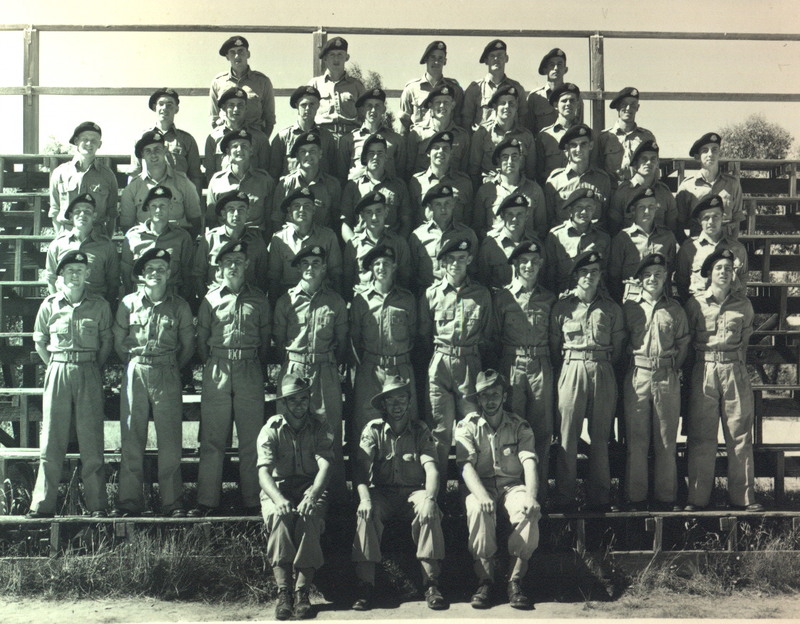 15 NSTB H Coy 32 PL 2 Intake 1953. 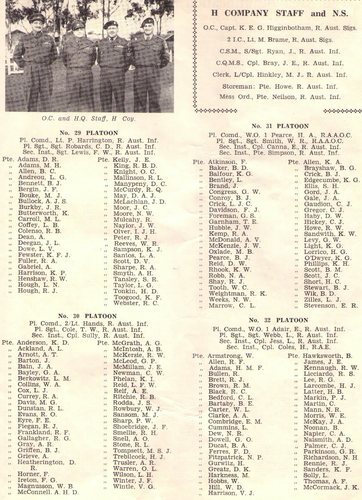 15 NSTB H Coy Names1953. 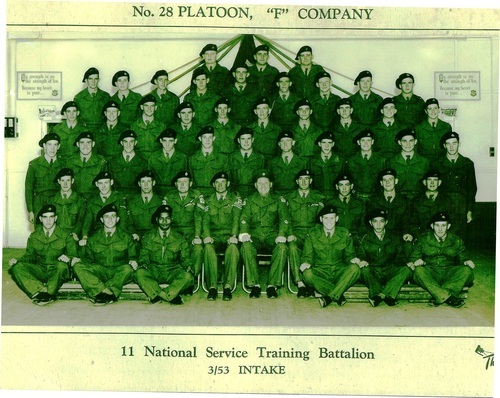 17 NSTB C Coy 17 Platoon 1953. 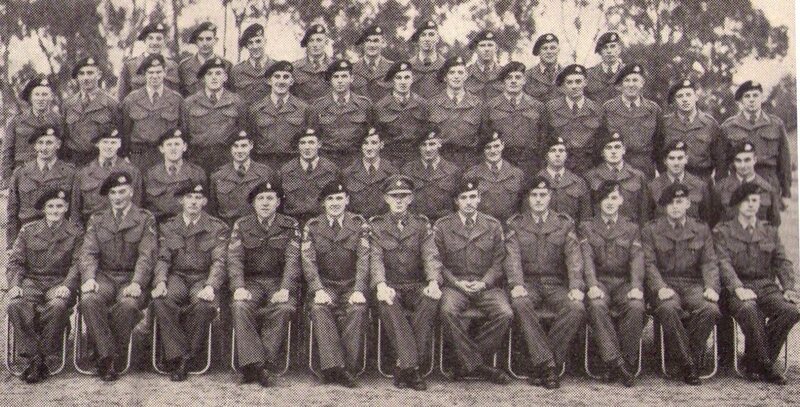 14 NSTB G Coy 1953. Second row up. 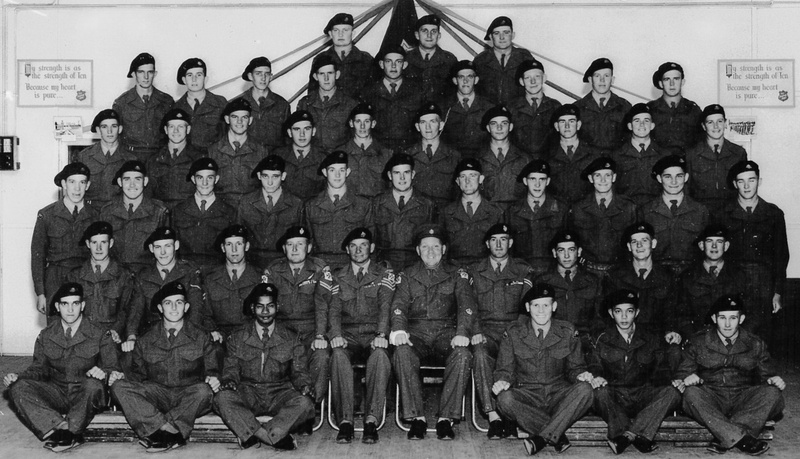 far left.Brian Macintosh. Front row L To R~ 5th Bdr James,7th Wo1 smith. 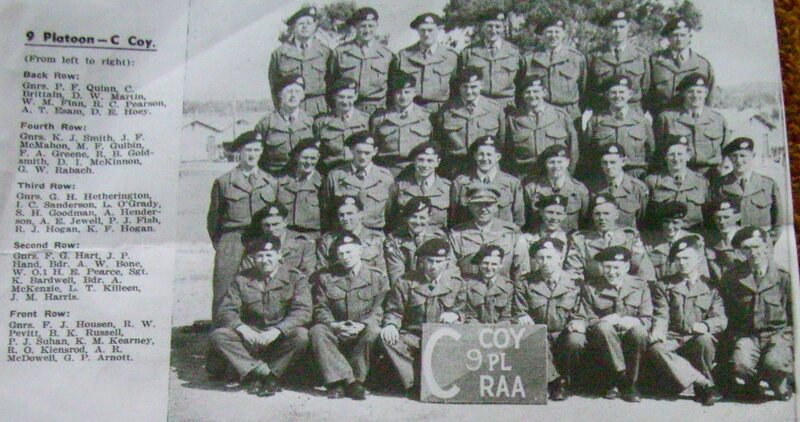 Back row ~6th Fowler, 11th Fitzpatrick r.
13 NSTB E Coy 17 Pl 1953. 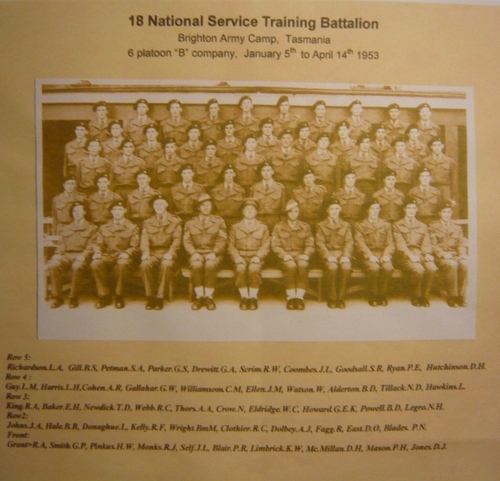 Top Row L to R ~2nd Leslie George Barrett. 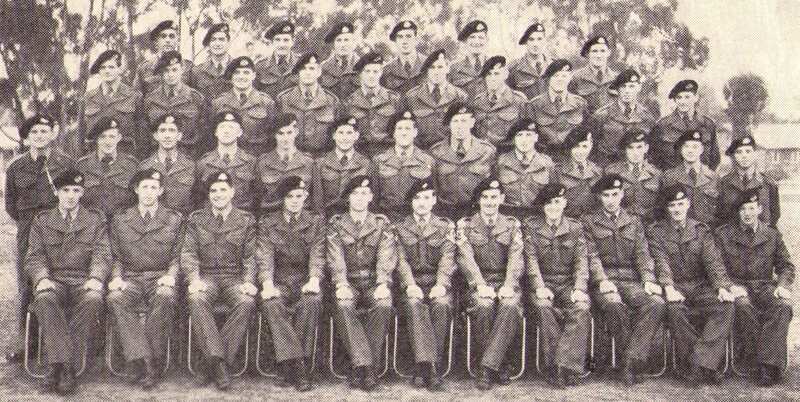 Bot Row L to R ~ 3rd Ian Hassall. 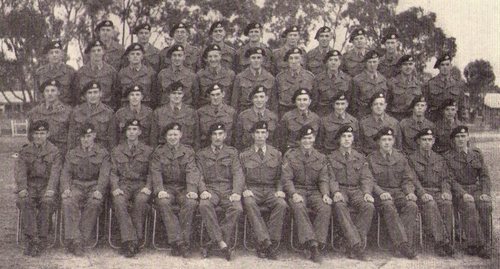 Top row L-R ~R Chalker, J Conner, N Lang, I Redfern, K Guymer. 2nd row L-R ~D Halkett, k Granger, J Unwin, L O'Brien, N Mewburn, G Laverty, B Akrigg, D Grimston. 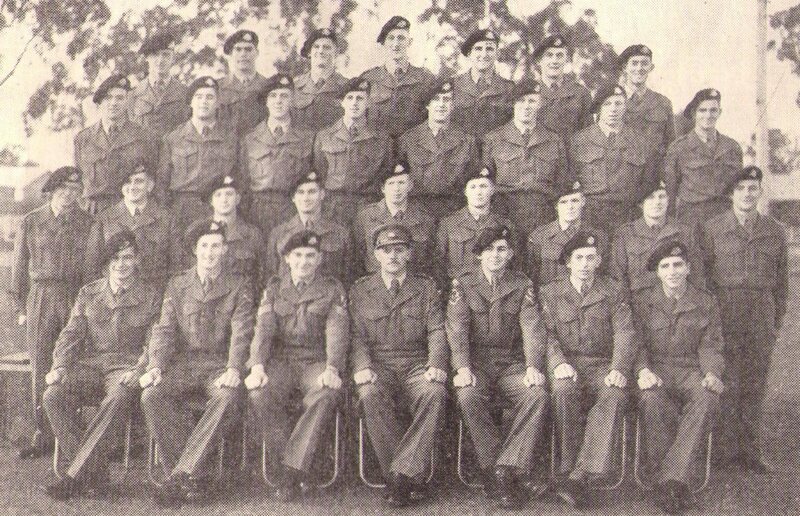 3rd row L-R ~D Walsh, K Bayley, l Vallis, K McKinley,L Summer, C Macapthy, M Weeks, T Hewitt, B Ison, B Barratt. 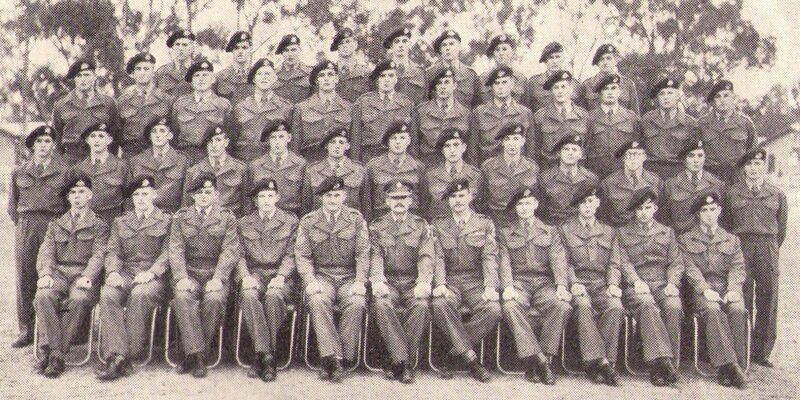 4th row L-R ~R Grant, B Bolin, B Radnige, J Hill, R Couglan, P Kofod, A Granger, G Collins, J Sppoule, J Bright. 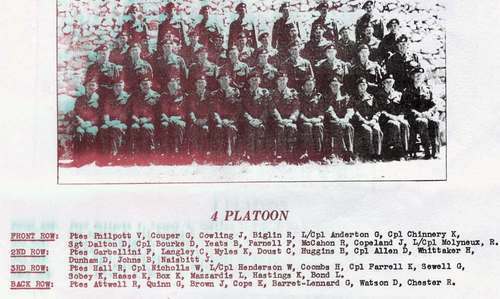 5th row L-R ~D Incoll. E Burgess.R Hadlow. 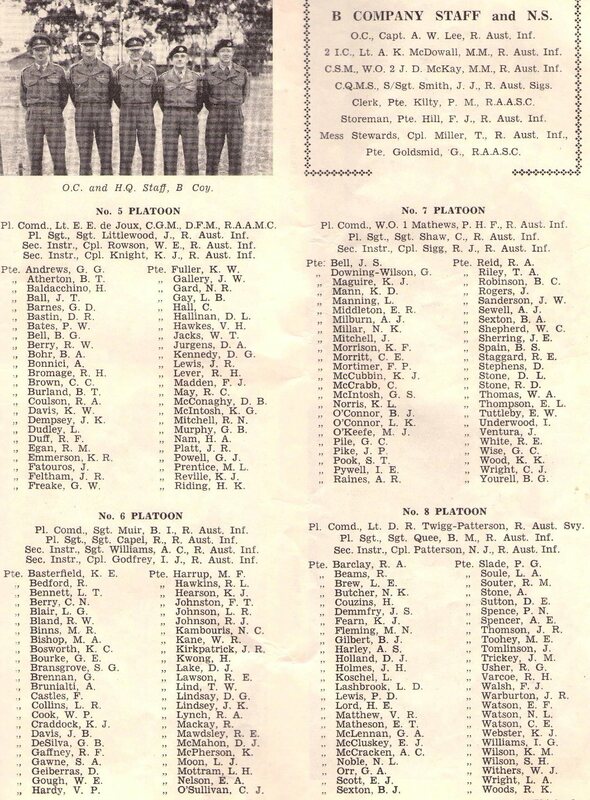 P Evans.G Seiler, P Angel. 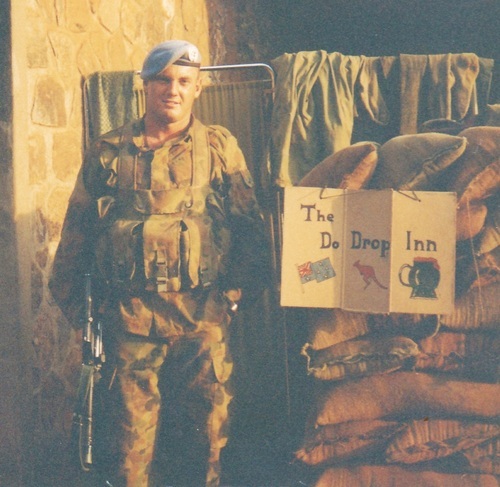 G Stone. W Marks. Cpl Fenton - Sgt Keogh - Cpl Wickens. 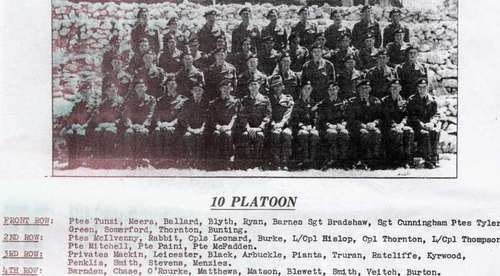 B Row L to R~ Ptes. 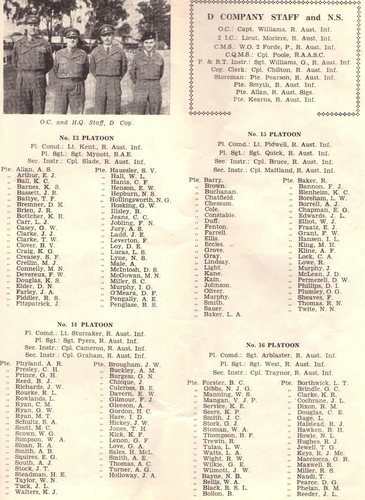 Jenkins, L/Cpl. 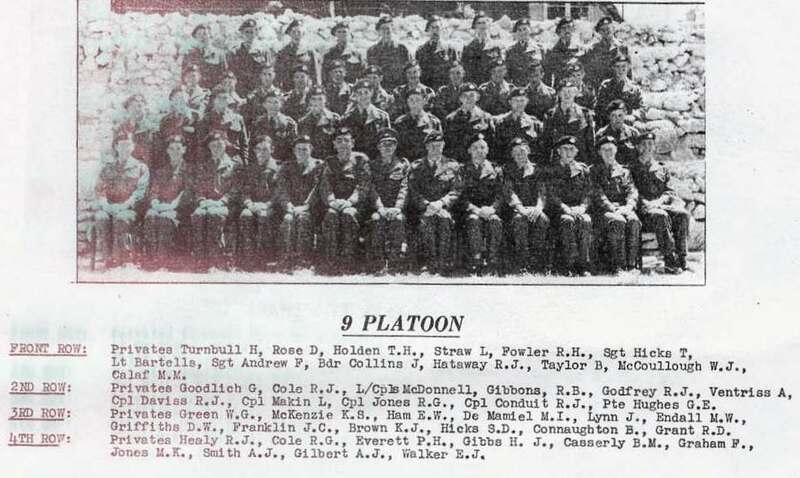 Cifuentes, Pte. 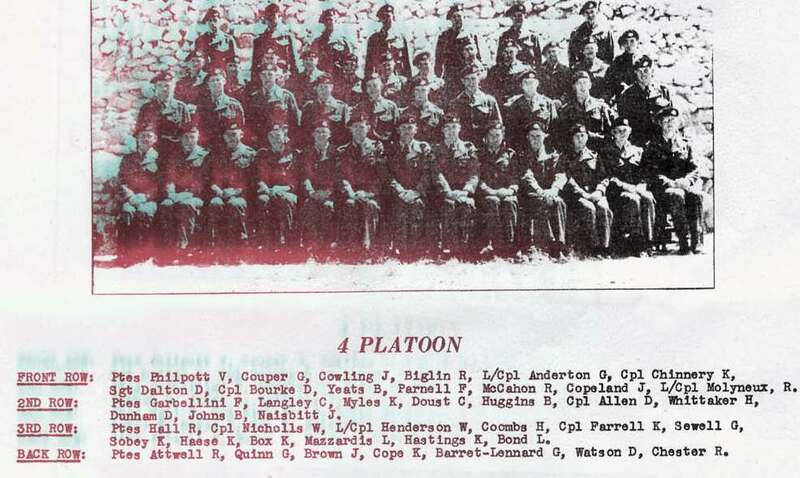 McElligot. 5th Row~Ptes. Underhill, Costello, Hendrickson, Land, Fuelling, Smith, Ron Milne, Sloan, Younger. 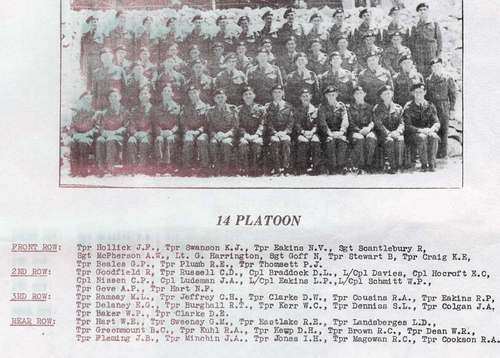 4th Row~ Ptes. 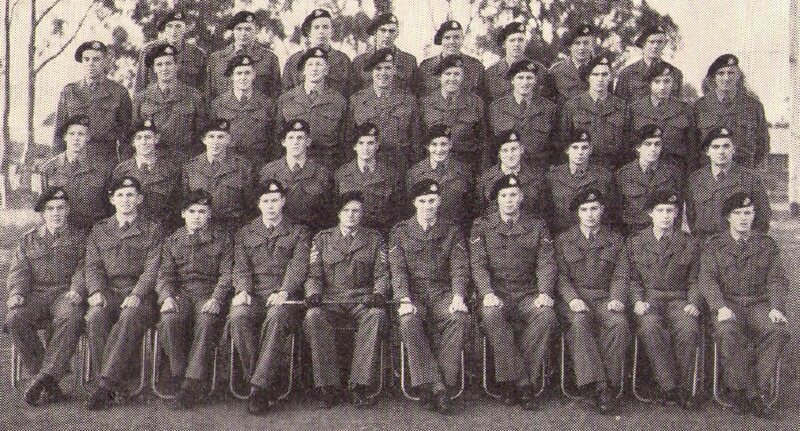 Evans, Barry Graham, Bruce, Gane, Adams, Carr, Pregno, Offord, Geoff Cranwell, Johnston. 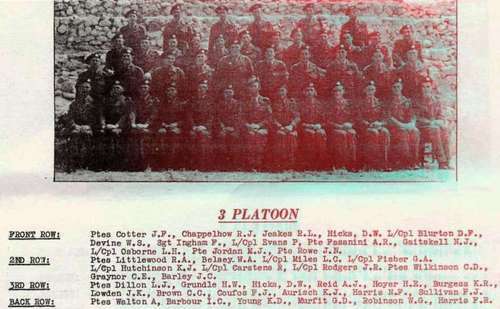 3rd Row~ Ptes. 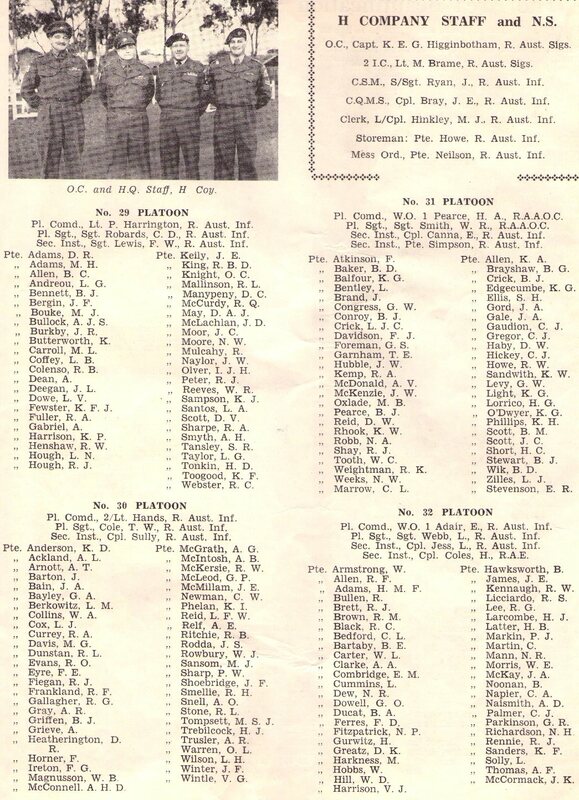 Delaforce, Lewis, Donald, Dagg, John Byrnes, Herbert, Bethel, Johnson, O’Neill, Tarditi, Field. 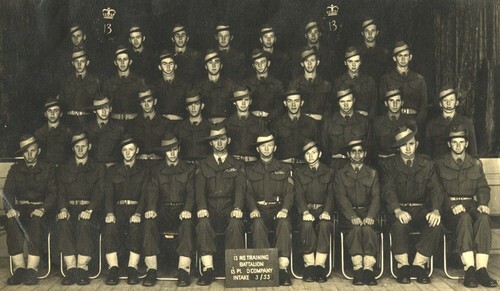 Front Row L To R~1st Milton Symons.